We are committed to offer Putty Powder to our clients that is considered as a construction material bottom ash coating. 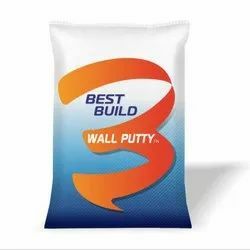 Our Wall putty Powder is offered at industry leading prices and find applications in both inside and outside wall. We also ensure that the Putty Powder, we provide our clients are at par with industry norms and standards. We are a prominent organization that is engaged in manufacturing and supplying high quality Acrylic Top Coat Wall Putty. Out range have excellent sealing properties that ensure uniform deposition of top. Known for its high quality, purity and durable finish, it is highly demanded by customers throughout the nation. Banking on the skills of our qualified team of professionals, we are instrumental in offering supreme quality range of Wall Putty Bag. 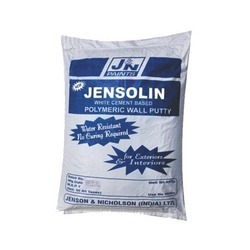 SPAN WALLPUTTY : Painters putty for smooth finishing , for strain free emery paper using and for more coverage area. Painter will get assured gifts on purchasing 100 bags and above .Contact :044 26151015Web: www.spanpaints.comSPAN . . , SPAN .